In this AQuAS blog post we’ll continue talking about registries. 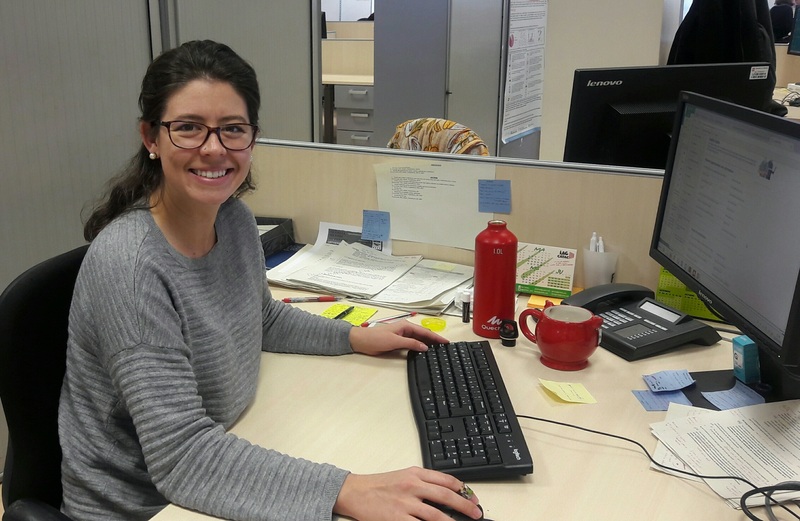 Last month Jorge Arias focused on registry collaboration between clinics and researchers, and at the beginning of the year we touched on the same topic during interviews with Olga Martínez and Xavier Mora, where the focus was on arthroplasties and new materials used in protheses. A few years ago, in 2015, we celebrated 10 years of the Catalan Arthroplasty Register (RACat), managed and coordinated by the Agency for Health Quality and Assessment of Catalonia (AQuAS). In that post, Olga Martínez and Laia Domingo discussed the experience of the registry as a whole, in terms of history and function. We’ll start today’s post with the importance of registries. 1. What do we mean by ‘registry’? A registry is a collection of standardized information that can range from patient diagnoses, outcomes, procedures, diseases, device performance, among other aspects, and uses this data to evaluate specific outcomes for predetermined clinical, scientific, or research purposes. More concisely, a registry collects standardized information, to be used for a specific purpose, about patients who share a condition or certain characteristics. Patient registries have existed for decades, with the first arthroplasty registries, in the Nordic region, making their debut in the 1970s: the Swedish Hip Arthroplasty and the Swedish Knee Arthroplasty Registers, in 1975 and 1979, respectively, followed by the Finnish Arthroplasty Registry in 1980. This post will focus specifically on implant registries and their importance at the local, national, and international levels, though other types of registries exist. Registries are of vital importance for a number of reasons. In terms of the health sector, since a standardized set of data is collected, a registry enables health professionals and researchers to make systematic comparisons across multiple datasets and traverse geographic locations. Healthcare personnel are kept abreast of other variables that different registries take into account and they can draw conclusions based on the experiences of others. Registries can facilitate professional development while simultaneously bringing clinical practices, outcomes, and possible areas of improvement to light. With this data, we can highlight best practices, using previous outcomes as a guide, as well as glean important information, quickly, if a need arises for implant recalls. A brief example focuses on Poly Implant Prothèse (PIP) breast implants, which were made in France from a cheaper, industrial-grade silicone that was not approved for medical use. The implants were rupturing twice as frequently as the industry average and causing health problems in thousands of women. Following this occurrence, the NHS created and implemented a register, The Breast and Cosmetic Implant Registry (2016), for patients in England with breast and other cosmetic implants that allows them to be traced quickly and efficiently, should any similar safety concerns arise. 3. Strengths and barriers of international registries? Registries are not only important when keeping track of information at the local or national levels, they are also extremely helpful in an international context as techniques and methods can be easily shared among countries. However, certain barriers can play a part in international data access. Recent changes in European law, specifically in terms of patient data protection, could have effects on international registries. According to an expert with the Dutch Arthroplasty Register (LROI), these laws, introduced in May 2018, could be detrimental to registries whose national regulations are flexible and who are now forced to adapt to more rigid regulations. In terms of the personnel involved in international registries, whether they are stakeholders, policy makers, healthcare professionals, or others, they have to keep abreast of potential barriers resulting from encompassing multiple countries as well as other regulatory aspects at the regional, state, and European levels to ensure correct implementation and functioning of the registry itself. Experts from two international registries, the Nordic Arthroplasty Register Association (NARA) and the International Collaboration of Breast Registry Activities (ICOBRA), have both stated that multiple countries, and thus multiple jurisdictions, participating in a single registry could prove difficult, given that the registry as a whole is obliged to function using the regulations imposed by the strictest country. Though there could be a few barriers to international registries, they continue to be a fountain of useful information. They facilitate advancement in knowledge, processes, and data regarding types of implants to use and/or avoid. 4. What can this knowledge do for AQuAS? Registry implementation, long-term functionality, and best practices are of great importance to AQuAS, who created and is in charge of the RACat, the Catalan Arthroplasty Register. The RACat currently collects information on hip and knee arthroplasty procedures from 53 out of 61 health centers in the Integrated Healthcare System of Public Healthcare Network of Catalonia (SISCAT), and is on the cusp of including shoulder arthroplasty procedures. Given the breadth and depth of existing knowledge in the international community, AQuAS, and those involved closely with the RACat, are interested in the information available in terms of best practices for implementation and sustainability, as well as the types of variables that other registries collect. With the ability to follow in the footsteps of registries that are already well established, AQuAS, the Catalan health system, and the international community as a whole, can improve the care given to their respective populations. Post written by Kayla Smith.